Armed police have arrested a man and a woman following an incident in the north of Edinburgh this afternoon. 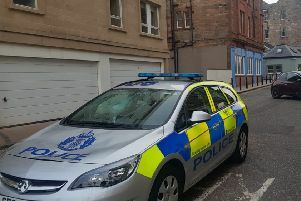 A police spokeswoman said officers responded to a report of a man in possession of a “suspected weapon” in the Pennywell Road area in Muirhouse. Members of the public reported seeing a man in possession of a gun but the police spokeswoman would neither confirm or deny whether this was the case. In a statement, the spokeswoman said: “Police in Edinburgh have arrested a 32-year-old man and a 36-year-old female, after officers were called to the Pennywell Road area at around 3pm on Friday 8 February following a report of a man in possession of a suspected weapon.